How Often Should I Do Yoga to Lose Weight? An active yoga class helps you burn calories to start to melt off the pounds. 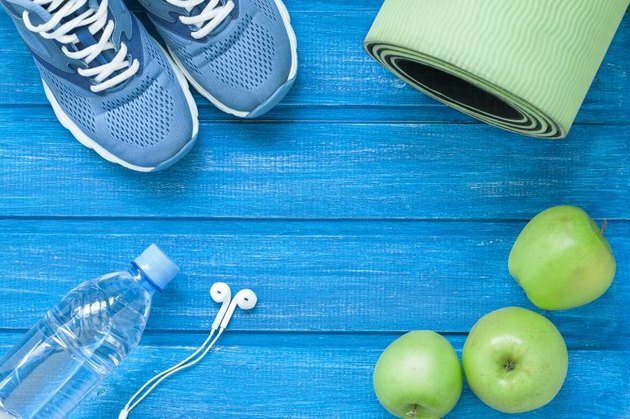 However, calorie-burning isn't yoga's only, or arguably most important, way of helping you address the battle of the bulge. Yoga also reduces stress and creates a state of mindfulness. Mindfulness might be just what you need to curb your eating and stick to a weight-loss plan. Enlisting a calorie counter tool is also helpful. Even one yoga class per week could help create the awareness and mental state to help you drop pounds. 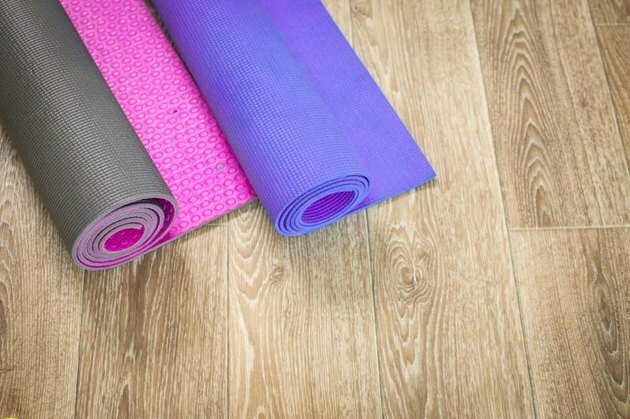 Of course, more practice is better — but you shouldn't let getting to yoga contribute to your stress level. Weight loss happens when you take in fewer calories than you expend. Increase your movement through exercise and you burn more calories. How many calories you burn in yoga depends on your size and the intensity level of the practice. For example, a 150-pound woman burns about 350 calories per hour of vigorous movement in a Power yoga class. She'll scorch even more in a classic 90-minute Bikram hot class — some reports suggest approximately 700 calories. Recognize, though, that these calorie counts assume you're flowing the whole 60 or 90 minutes. Periods that you drop into Child's pose or the 15 minutes of class that your instructor leads you through long holds of Pigeon, Forward Folds and Savasana don't burn nearly as many calories as Sun Salutations. Even if you add a significantly intense yoga class three to four times per week, you'll likely have to trim your food intake as well to lose weight. It takes a deficit of 3,500 calories to lose a pound — meaning to drop 1 pound in a week, you need to maintain a 500-calorie deficit per day. Achieving that through yoga practice alone is a challenge. Calories in count, so watch your intake of sugary sweets, saturated fats and refined flours. Ultimately, if you add three Vinyasa or Power yoga classes per week, you can expect to lose about 1/2 pound per week — assuming you don't change your diet or your other activity levels. Not all yoga classes vigorously burn calories, but they may still offer a benefit to weight loss. For example, a Hatha yoga class, which usually consists of a series of gentle standing and seated postures and doesn't do much to raise your heart rate, burns about 190 calories in an hour for a 150-pound woman. 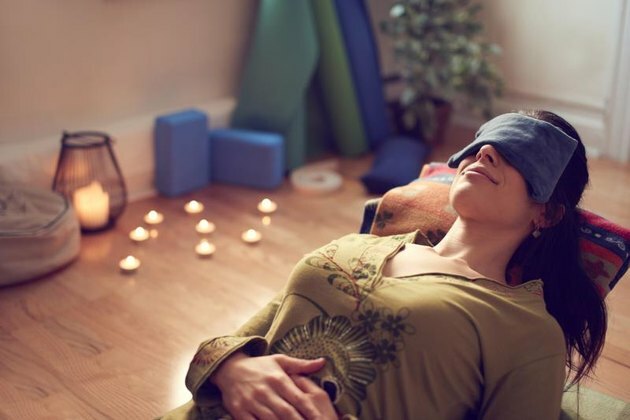 A Restorative practice consisting mostly of reclined poses and meditative stillness burns even fewer. These practices may still help you trim fat, but how? Stress and the resulting hormonal reactions and comfort eating are possible reasons you've piled on the pounds. Yoga practices teach you to manage stress more healthfully and not overreact. In 2013, researchers from the University of California published a study showing that a Restorative practice was more effective in helping overweight women lose weight than a generic stretching program after six months. The women in the study were guided in their practice a few times per week in the first few weeks, and then guided classes were reduced to once a week, semi-monthly, once a month. Eventually the women were expected to practice the poses on their own at home. How often you'd need to do Restorative yoga to lose weight is really a personal matter. You might find that 15 to 30 minutes every night, in place of a time you might be likely to snack to deal with stress, is necessary. Or, you might experience significant feelings of stress reduction with just one formal hour-long, instructor-guided class per week. Yoga also increases mindfulness, making you more aware of your eating habits and feelings of fullness. This can help curb overeating and weight gain; it may even encourage weight loss. Research conducted by the Fred Hutchinson Cancer Research Center in 2005 discovered that yoga was a factor in preventing middle-age weight gain. The typical person gains about 1 pound per year between the ages of 45 to 55 years. Of the approximately 15,500 participants surveyed, those who practiced yoga at least 30 minutes, once a week for at least four years, gained 3 pounds fewer over the 10 years than those who reported less often or no practice. This doesn't mean the participants lost weight, but it demonstrates yoga's potential in assisting you in your weight loss journey. Consider adding even one short yoga practice per week to make you more focused in your goals. Read more: What Type of Yoga is Best for Weight Loss? How Many Calories Are Burned with One Hour of Power Yoga?